So I packed it up on my car and went off to the Maker Faire. Hitching a ride on a bigger vehicle. 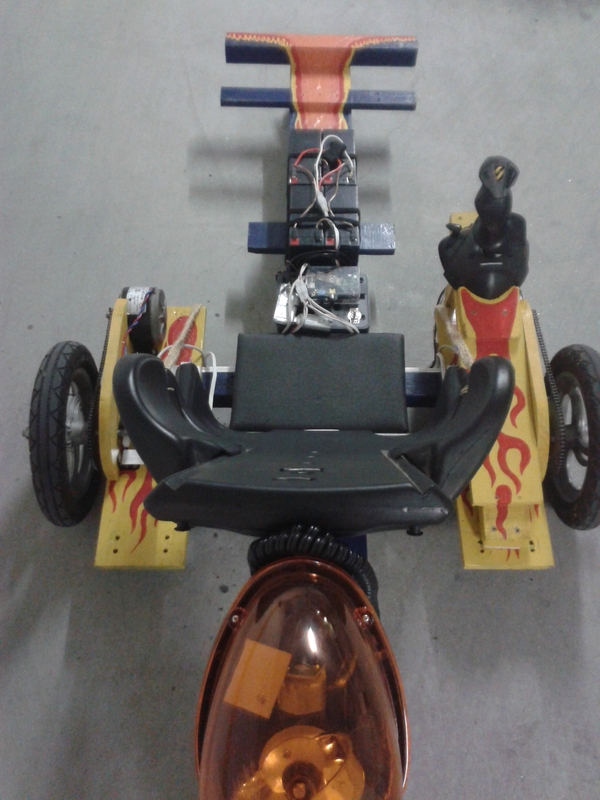 The Trike isn’t ready for long trips (yet). Once we got there, a lot of people wanted to ride it. Here one of my friends taking it slowly around the “Pavilhão do Conhecimento” hall. In fact, one detail surprised me and demonstrates what an old guy I already am: kids today don’t know what a joystick is! They’ve never seen one. I actually had to demonstrate how it works for them. That was a hard blow on my self-perceived youthfulness…. 😀 Just another sign of the times. 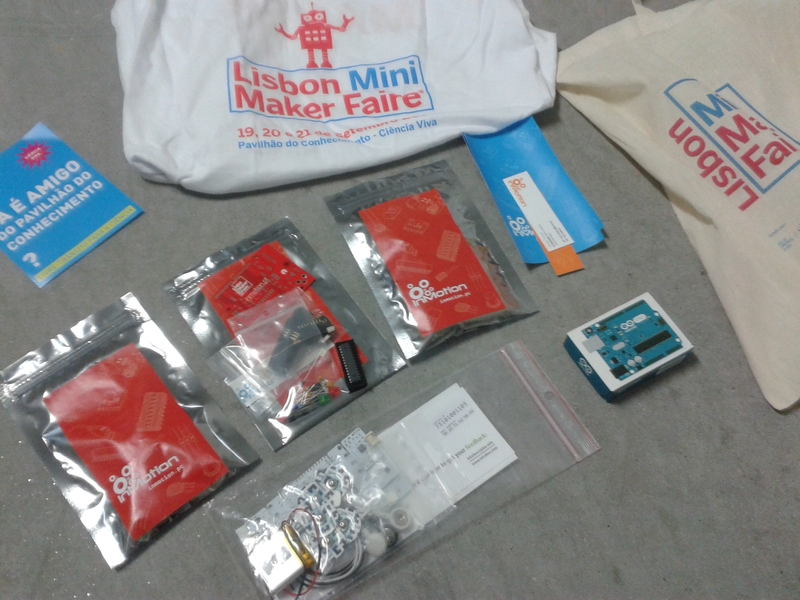 One T-shirt, 4 arduino kits, and a “Bitalino” bio-sensors arduino kit (as a special participation prize for our project). I just want to tell you guys “Congratulation”. I did follow you and red most of your post. Nice work and a just in time frame works, wow! Say, how’s the OpenVolta project coming along? So, I will order my silicon steel from China and do it my self. I will purchase a CNC machine. I do have the option to have it cut by waterjet. Even if machining it myself does not work well with my CNC, i have other projects for it! I hope to have something to show before Christmas THIS year. The results on FEMM are great. The quadrupole motor is now in the mechanical design phase. Thanks for asking and again, thanks for the posts on your project! Wow, that’s so good to hear. 🙂 Congratulations!